Is TV Showing Us What Shark Experts Really Look Like? 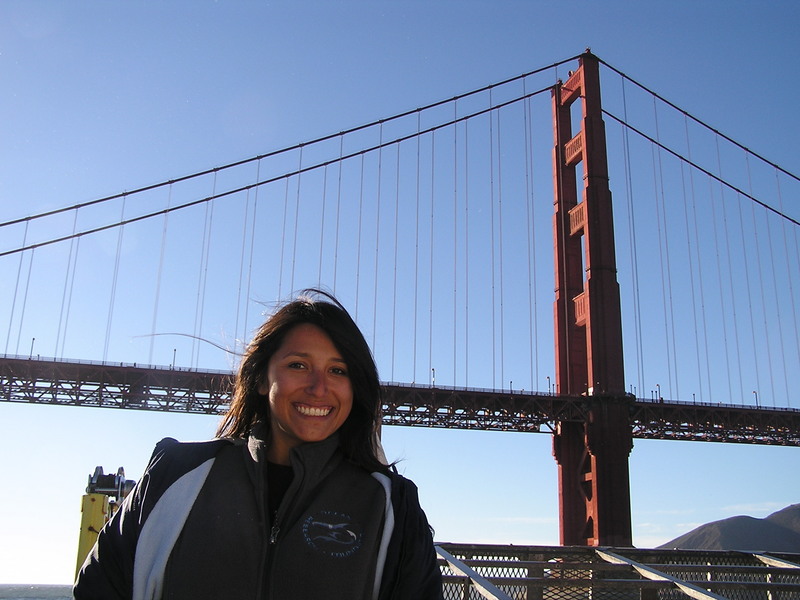 Vicky Vásquez is a graduate student under the Pacific Shark Research Center and the founding Deputy Director of the Ocean Research Foundation. You can follow Vicky on Twitter at @VickyV_TeamORF. As an early career scientist, I am still learning about what it means to be a shark expert and the standards by which we uphold these individuals to. Before starting school at Moss Landing Marine Laboratories, I used programming similar to Discovery Channel’s Shark Week or NatGeoWild’s SharkFest to help me define those terms and build my knowledge of “shark facts”. Did you make the same mistake? 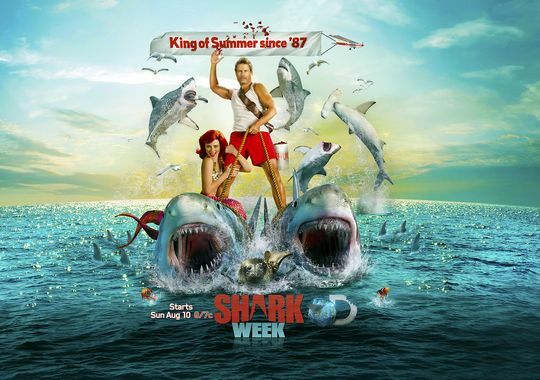 Shark Week’s 2014 campaign, King of Summer used a comical caricature of a shark expert. How would you define a shark expert? … how do these programs define a shark expert? The Modern Day Shark Expert. The modern day shark experts have gotten their starts from a myriad of different paths. Yet whether their credentials are rooted in science, diving, surfing, fishing, or just knowing waaay to much about shark attacks, those individuals lack a different kind of diversity. In the scientific community at least, I know there are plenty of women and people of color who study sharks. I just wouldn’t know that from watching TV. The Gills Club is Atlantic White Shark Conservancy’s signature action project dedicated to connecting girls with female scientists, sharing knowledge, and empowering them to take leadership positions and inspire shark and ocean conservation. With regards to women scientists, take a look at the group the Gills Club. Their sole focus is to connect girls and young women with female shark scientists. That’s it. Through their quest, they have encountered so many well qualified female shark scientists that they have been able to develop a newsletter featuring two new female shark scientists every month. Do you see where I’m going with this? 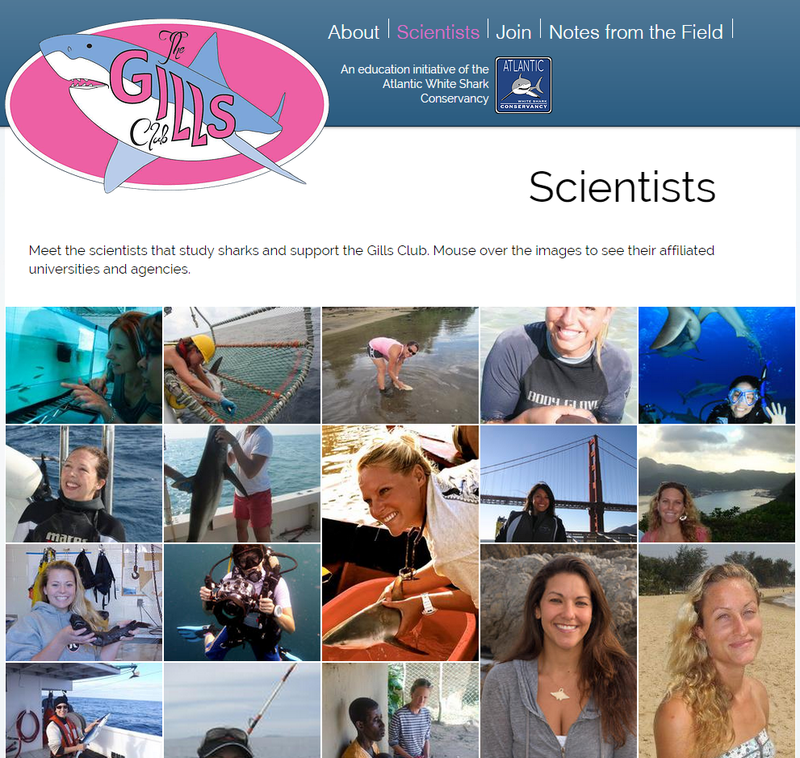 Gills Club webpage featuring their long list of female shark scientists collaborators. There are plenty of well qualified female shark experts! Last year, I lamented on this fact in a blog post for Southern Fried Science called, Can shark week do more for its female viewers? However, the biggest issue for Shark Week fans last year was the over-hyped fear and fiction. And people spoke up! Comedian and host of Last Week Tonight, John Oliver, weighs in on misleading shark programming. Last year’s problems made this year’s changes. The biggest fish to get fried last year were mockumentaries! These confusing pieces of… fiction are now completely absent in this year’s programming! 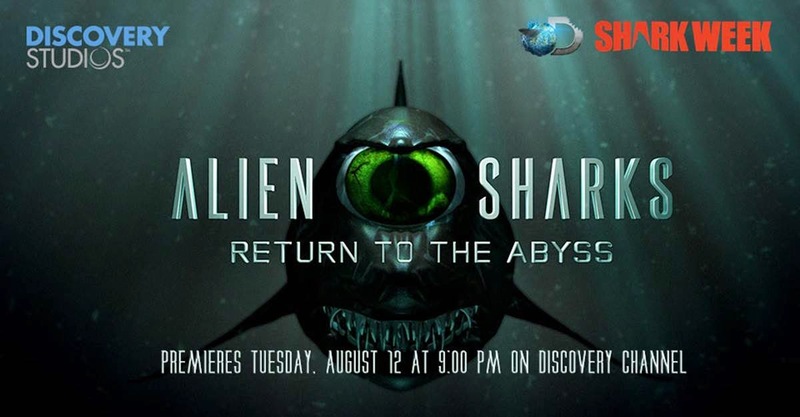 Fans were also vocal about the shows they felt Shark Week did right and as a result, Alien Sharks is back in 2015 with a third installment. Last year’s promo for Alien Sharks. The 2015 episode airs on Monday, July 6th at 10pm. I couldn’t find a single female shark expert for the 2015 shark programming. Though the programming is already underway for 2015 there is still work to do. For instance, the descriptions for this year’s shows are absent of any female names. It may be too late for 2015, but 2016 could be the year for a more diverse representation of shark experts! So here is what I propose! Watch Shark Week. Watch Shark Fest. 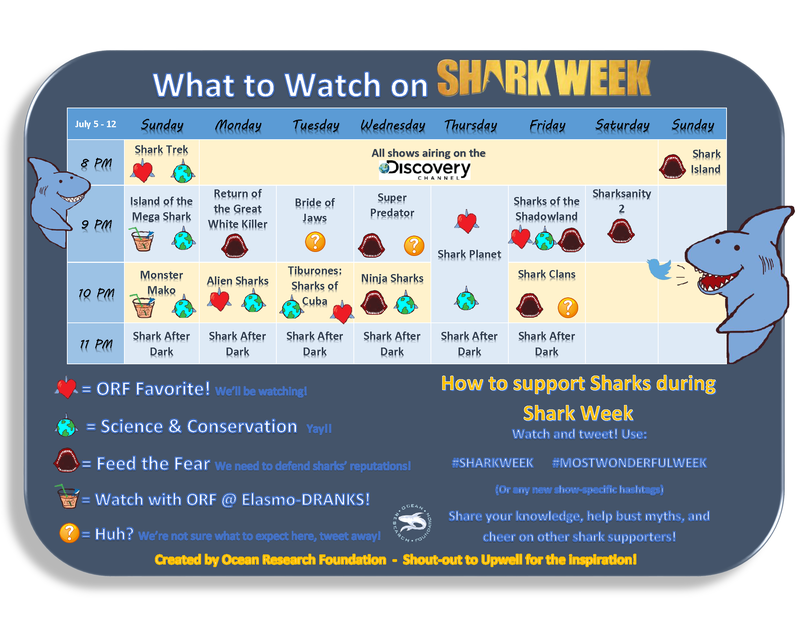 #WhatToWatch for #SharkWeek2015 Image created by Shelley Davis of the Ocean Research Foundation. Not sure which shows you want to support? Wildlife biologist, Shelley Davis and the Ocean Research Foundation have you covered with these great #WhatToWatch infographics. Inspired by previous guides designed by the now defunct, Upwell organization. 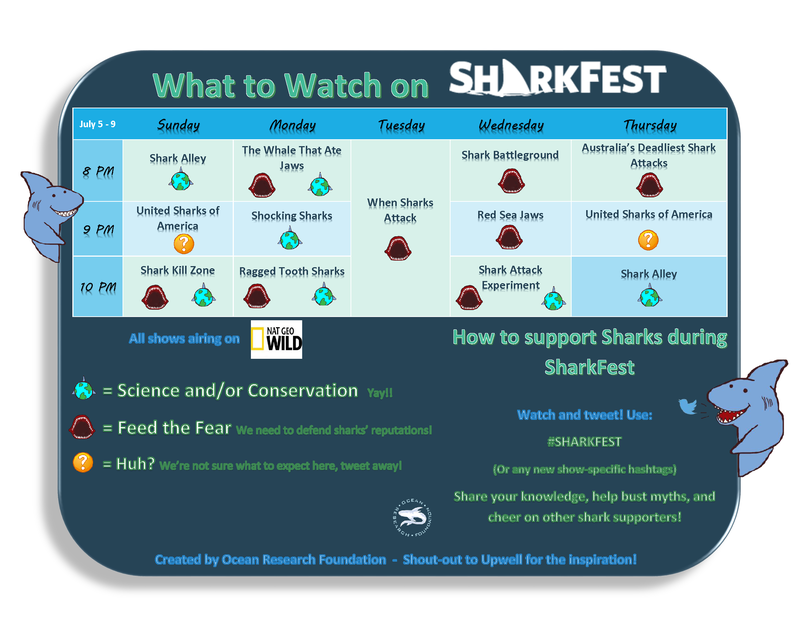 #WhatToWatch for #SharkFest2015 Image created by Shelley Davis of the Ocean Research Foundation. Demand a more diverse representation of shark experts! I’m happy to see a return this year to shark experts with science backgrounds. Even better is that many of these experts were speaking on the true diversity of sharks and sensationalizing real facts rather than hyped-up fears. Shark + Expert = Sharxpert! 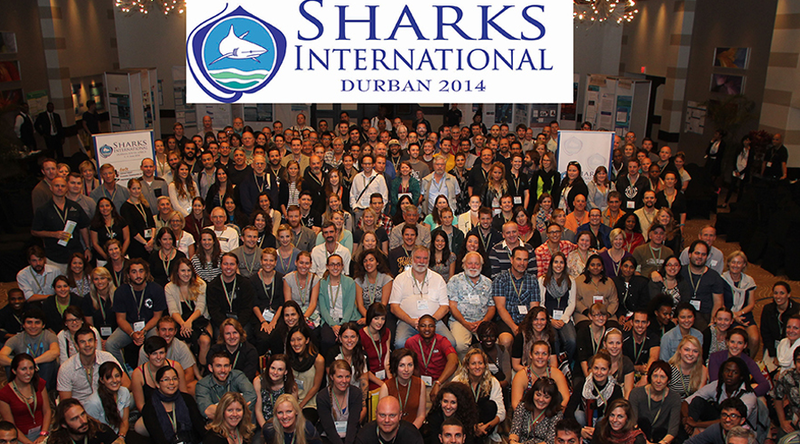 Group photo of shark scientists from around the world at the second ever, Sharks International Conference held in Durban, South Africa in 2014. In hopes of a change in 2016, give a shout out to your favorite #FemaleSharxpert! If Shark Week and Shark Fest are having a hard time finding qualified female shark experts, then let’s make it easy for them! Shark experts come in many shapes and forms with a variety of specializations. In fact, did you know most “shark experts” don’t even refer to themselves or their colleagues as such? That’s because most “shark experts” see themselves first as geneticists, ecologists, divers or fisherman; in other words, as experts in their true fortes. As a result, the field of “shark experts” is huge …like Megalodon huge, or even better it’s whatever ATE Megalodon huge! Consequently, shark fans deserve more from television networks and a chance to see the real diversity that lies within the field we’ve all come to know and love as, the Shark Expert. To get you started, here are just a few Sharxperts and labs whose specialties and/or backgrounds are a great introduction to the diversity in shark science! Andrew Nosal studies shark movements in Southern California. Gibbs Kuguru uses genetics to study Smooth Hammerhead sharks in South Africa. The Pacific Shark Research Center consists of a diverse group of graduate students lead by their professor, Dr. Dave Ebert in the study of lesser known chondrichthyan species dubbed, the Lost Sharks. Kara Yopak, is an expert on shark brains and how they evolved. Andrea Marshall aka the Queen of Mantas proved that the Giant Manta represents two different species. Lisa B. Nathanson collaborates with shark fisherman to collect valuable data on shark biology. Coastal & Marine Laboratory at FSU focus on exploited and poorly studied estuarine fishes such as the critically endangered, Smalltooth Sawfish. Michelle Heupel is one of the world’s leading experts in shark ecology and how they utilize certain spaces such as marine protected areas. Chondrichthyan Tree of Life compiled by Gavin Naylor and his lab. Barbara Wueringer is an expert on all things Sawfish. As a graduate student through the Pacific Shark Research Center (PSRC), I study shark behavior and ecology. I share my expanding research knowledge and engage other in marine science through my role as the Founding Deputy Director of the Ocean Research Foundation (ORF). 2 Responses to Is TV Showing Us What Shark Experts Really Look Like?